9.3 km from Canberra Intl. 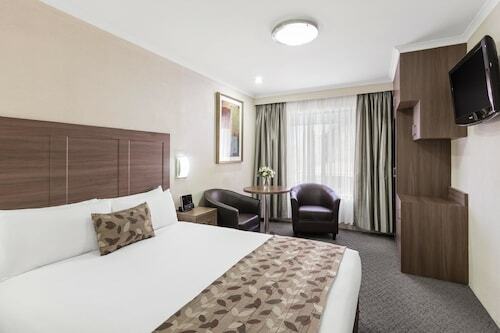 Situated in Watson, this hotel is 1.5 mi (2.4 km) from EPIC and 1.7 mi (2.7 km) from Kamberra Function Centre. Australian War Memorial and Canberra Centre are also within 6 mi (10 km). 5.2 km from Canberra Intl. Situated in Queanbeyan, this motel is 1.7 mi (2.8 km) from Superkarts Go Karts and within 6 mi (10 km) of Lake Burley Griffin and Manuka Oval. Kingston Shopping Centre and Manuka Shopping Centre are also within 6 mi (10 km). Queanbeyan Railway Station is only a 3-minute walk. 12 km from Canberra Intl. Situated near the airport, this resort is 3.1 mi (5 km) from Mount Majura Vineyard and within 6 mi (10 km) of Tulip Top Gardens and EPIC. Canberra Centre and Australian National University are also within 9 mi (15 km). 6.4 km from Canberra Intl. 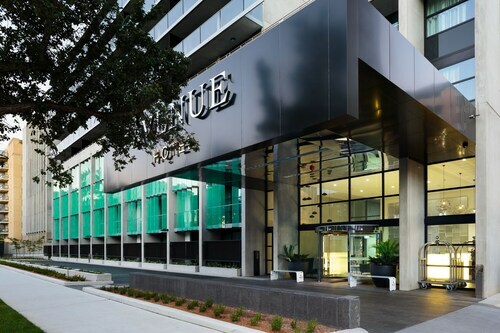 Located in the heart of Acton, this hotel is within a 15-minute walk of Lake Burley Griffin, Australian National University, and National Museum of Australia. Canberra Centre and National Convention Centre are also within 2 mi (3 km). 7.1 km from Canberra Intl. 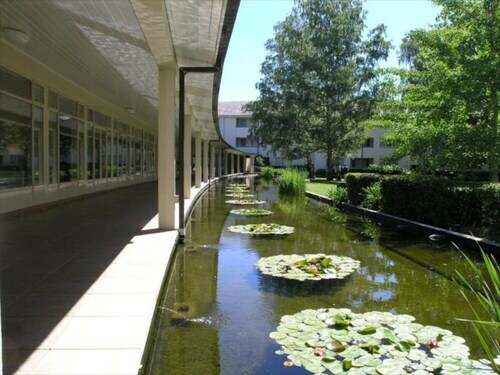 Situated in Dickson, this hotel is within 3 mi (5 km) of Canberra Centre, Australian National University, and Australian War Memorial. National Convention Centre and Lake Burley Griffin are also within 3 mi (5 km). 6.2 km from Canberra Intl. 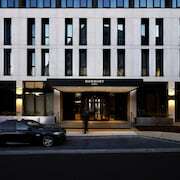 Located in Canberra City Centre, this luxury hotel is within 2 mi (3 km) of Canberra Museum and Gallery, Australian War Memorial, and National Museum of Australia. Questacon (National Science and Technology Centre) and Australian National Botanic Gardens are also within 3 mi (5 km). 5.4 km from Canberra Intl. Situated in Queanbeyan East, this motel is 0.6 mi (0.9 km) from Superkarts Go Karts and within 9 mi (15 km) of Australian War Memorial and Lake Burley Griffin. Manuka Oval and National Convention Centre are also within 9 mi (15 km). 7.2 km from Canberra Intl. 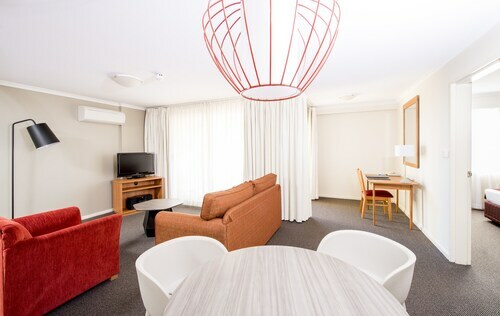 Situated in the historical district, this hotel is within 2 mi (3 km) of Canberra Museum and Gallery, Canberra Centre, and Australian National University. Australian War Memorial and National Convention Centre are also within 3 mi (5 km). 4.8 km from Canberra Intl. 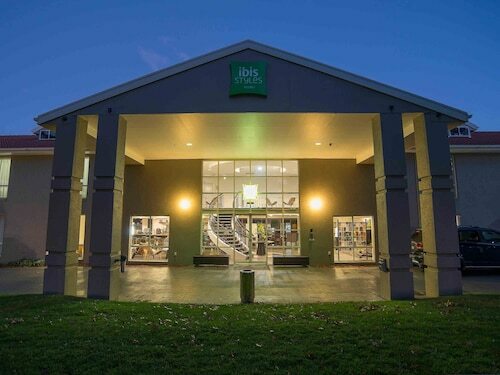 Situated in Narrabundah, this golf motel is within 3 mi (5 km) of Manuka Shopping Centre, Manuka Oval, and Lake Burley Griffin. Kingston Shopping Centre is 2.1 mi (3.3 km) away. 4.9 km from Canberra Intl. 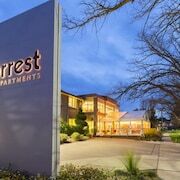 Situated in Narrabundah, this apartment building is within 3 mi (5 km) of Manuka Shopping Centre, Manuka Oval, and Lake Burley Griffin. Kingston Shopping Centre is 2.2 mi (3.5 km) away. The Bush Capital has your name written all over it! Let Wotif lend a hand with any pesky Canberra International Airport (CBR) particulars, so you can focus on your Canberra holiday. If you've got some time to kill, think about booking accommodation in the nearby neighbourhoods. Fyshwick is 4 kilometres away. 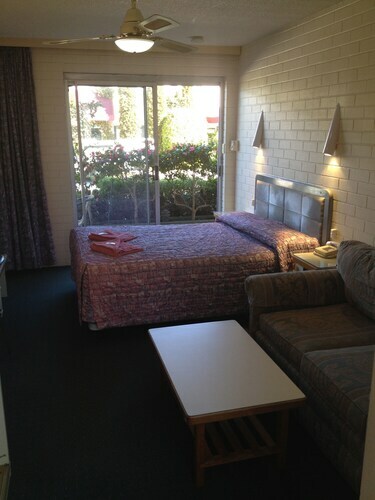 It has 10 accommodation options, such as the Oxley Court Serviced Apartments and the Best Western Motel Monaro. If you're looking for a second option, Duntroon is also nearby. The Mercure Canberra and the Canberra Short Term and Holiday Accommodation are your best bets there. Whether you're here on a stopover or staying a few days, you ought to go to the Australian War Memorial. It's 5 kilometres away from the airport. Take off on your next exciting journey. 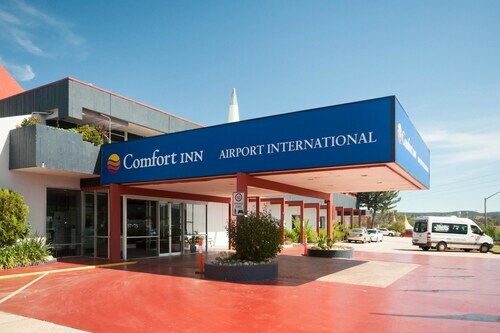 Organise your Canberra International Airport hotel today! Is there a hotel in Canberra Airport? 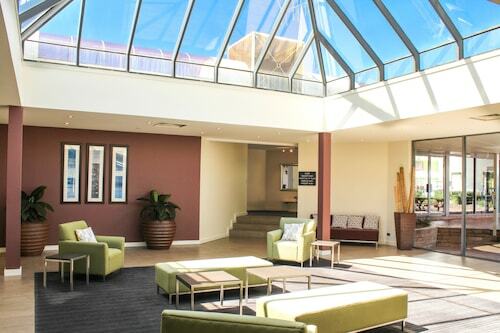 The Vibe Hotel Canberra is located at Canberra Airport. Throw down those heavy bags, take in the ritzy atmosphere and enjoy access to 24-hour front desk services and free Wi-Fi. Want to escape the airport altogether? We don’t blame you. 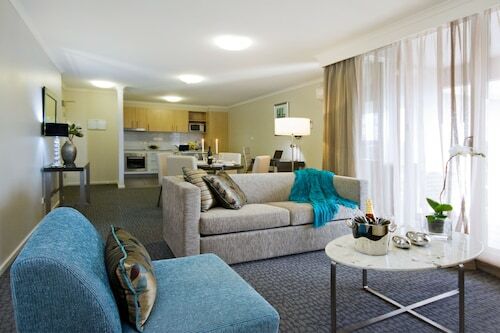 You’ll come across the luxurious Diplomat Hotel Canberra just a short drive away. 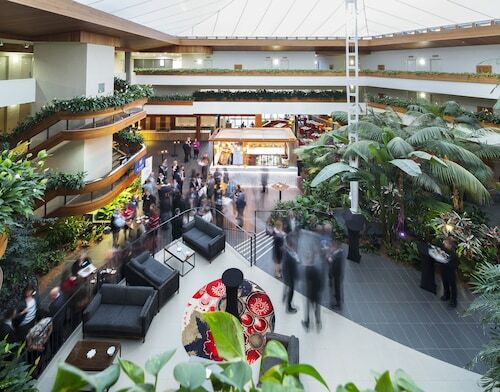 They offer free Wi-Fi and a 24-hour front desk. 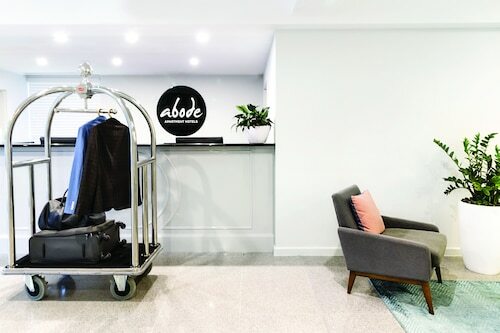 The Abode Kingston is also close by, and it gives travel-weary visitors access to free Wi-Fi. If you love getting bang for your buck, this is a great place to check out. Beds were hard. Overall property was clean and well stocked. Kitchen area was excellent. Having a washing machine and dryer was a godsend.